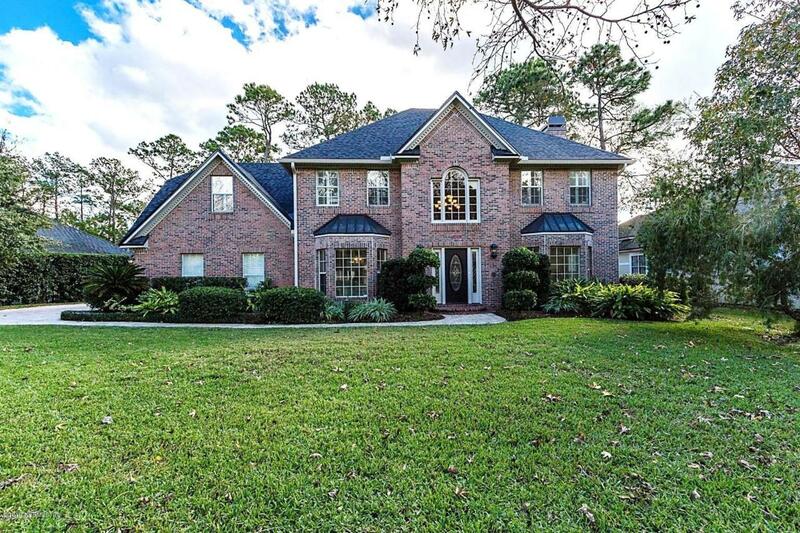 Stately Marsh Landing home with pool! High and dry lot w/ long views of lagoon. Stunning two story foyer w/ marble floors, custom wrought iron stairs and beautiful moldings. Solid hardwood floors throughout. Chefs kitchen features stainless appliances, travertine floors, breakfast bar, & large breakfast nook. Separate wet bar w/ leather granite, wine chiller & ice maker. French doors take you to the gorgeous pavered pool deck and screened lanai. Beautiful summer kitchen design w/ premium travertine stone. Enjoy the heated pool & spa with a great private view! Large family room w/ fireplace. Separate formal dining & living room. Downstairs office/den w/ lagoon views. Large upstairs master & renovated show-stopping custom master bath! Brand new roof, 3 car garage, generator and much more!